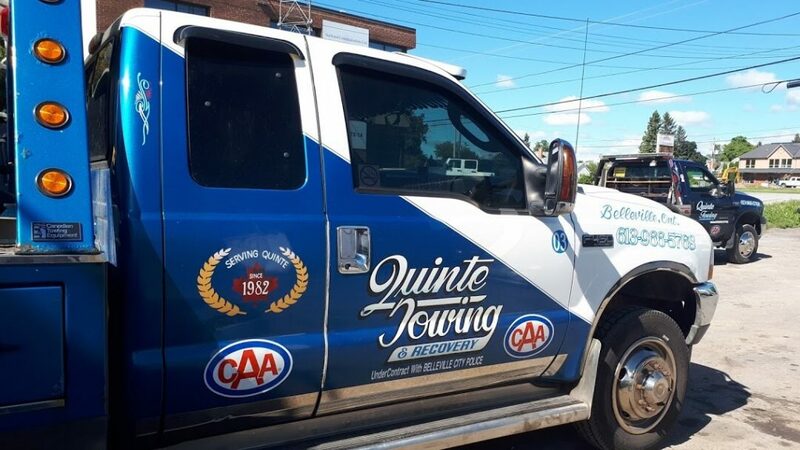 Quinte Towing and Recovery has been working to offer the community a reliable, friendly service for over 35 years and is a trusted contractor of the Belleville City Police. As experts in towing and roadside assistance, they believe that their duty is to help residents of Belleville in stressful roadside situations, providing quick response times and efficient care. Your peace of mind is their top priority. Todd Vanstone of Quinte Towing and Recovery shared more on the philosophy of the company, “We want the residents in our community to be safe, often our call-outs are to help neighbours and friends get back on the road. Road safety is everyone’s responsibility, and we want to make a difference with the services that we offer”. It is this unique approach that makes Quinte Towing and Recovery stand out from the crowd. Their many years of experience mean that they have a complete understanding of the needs of their clients in any roadside emergency situation. In addition to the vehicle assistance that they are able to provide, they are also committed to the well-being of their clients who may be in shock or upset after an incident. Asked for his view on this, Vanstone commented, “Often in an accident situation our clients may not be sure what is the best step to take for repairs or towing. Our operators are highly skilled and experienced, but more importantly, they understand the value of excellent customer service and are able to offer suggestions and guidance when asked for”. This is of particular significance as the days grow colder and icy conditions on the road are an accident waiting to happen. He went on to elaborate saying, “All our operators understand that the well-being and satisfaction of our customers is the most important thing”. That means providing a great service where needed, and being courteous and professional in all our dealings whether with suppliers, clients or people that we come across in our daily work”. 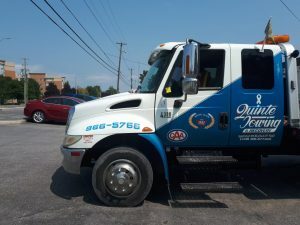 Quinte Towing and Recovery in Belleville, Canada is a family owned business that cares about the community. They offer emergency service and roadside assistance 24 hours a day, 7 days a week all year round. Quinte Towing and Recovery specializes in flatbed, medium duty and car towing, with the requisite equipment and expertise to tow almost any vehicle. They also offer winching and wrecker services, junk car removal, motorcycle carriers, and storage facilities. Their secure storage facilities are under constant security surveillance and dog protection. Their emergency roadside assistance covers tire changes and repairs, jump starting and battery changes, lock-outs as well as oil and fuel solutions.